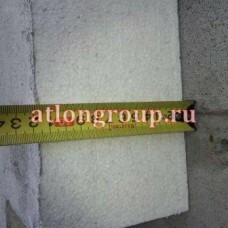 Polystyrene intended for the works outside the building is present in the range of heaters Atlongroup. Sheets of insulation, specially prepared for installation outside. The size of these tiles makes them easy to handle when mounted on exterior walls . If the work is carried out from the construction platforms, it is very important. Clear geometric parameters contribute to a better result on the facade. 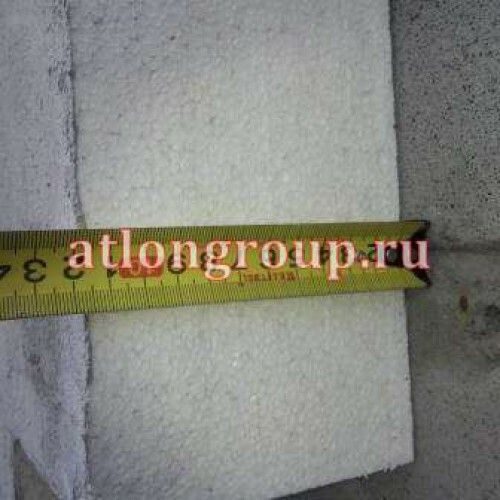 The polystyrene 1000х500х150 mm we recommend to use for insulation brick walls (2 - 2.5 bricks wide). The characteristics of such a insulated plaster facade are better than those set by modern construction standards in the Northern regions of Russia. Water vapor permeability of the foam and the bricks are about the same. This uniformity is positive for the outflow of excess moisture outwards. Discounts on comprehensive acquisition of facade materials! Long-term sunlight destroys the outer layer of insulation!